Paying to learn has become a generally-accepted principle in Alabama’s public schools. As taxpayers have refused to increase funding for public education and as the state legislature continues to carve up the Education Trust Fund (ETF) budget among agencies other than public schools, local school officials have sought ways to shift the cost to the users of public education: our children. Alabamians have fully accepted the idea of taxing ourselves to provide extra educational opportunities for children in our local school systems. Which likely accounts for the five additional city school systems that have formed in the past five years. Children in systems like Hoover and Mountain Brook and Trussville certainly have more access to higher educational opportunities than those in county systems with little ability to tax themselves. There is no doubt that this differing ability to tax ourselves has clearly created a two-tiered, unequal educational system. That system, however, has been upheld in recent court challenges as being in line with Alabama’s Constitution. Even if local taxation differences have been given the court’s blessing, what does it say about us when our school districts force Alabama’s children to pay to learn in our public education system? I have always had an interest in how much it costs families to obtain a “free” public education. However, the inspiration for studying this more carefully came from learning that in 2010, the ACLU had filed a lawsuit in California after determining that many of California’s schools were illegally charging families for activities related to public education. In 1984, the California Supreme Court had upheld the interpretation of California’s constitution that students should not pay anything to participate in obtaining a free and equal public education, which included extracurricular activities. Yet the ACLU’s investigation revealed that many were doing so. The ACLU concluded that by charging illegal fees, a two-tiered educational system had developed within California’s schools: a higher tier for those who could pay, and a lesser one for those who could not. 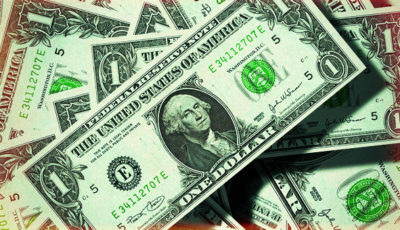 The ACLU, by revealing the illegal fees being charged, forced a challenge to their two-tiered public education system. School districts’ pursuit of this plainly illegal funding stream is a symptom of the broader dysfunction of the State’s finance and governance system for public education and underscores the failure of leadership in state government to ensure that schools are provided the resources necessary to provide a free and equal education. With an ever-shrinking allocation of funding from the state ‘over $1500 per student over the last two years according to some estimates’ school districts face unprecedented challenges as they search for a way to offer the educational programming that we as citizens expect our public schools to provide. Although this does not excuse schools’ resorting to an illegal means of raising funds, it highlights the reason we all must advocate to ensure our public schools receive from the State the resources necessary to achieve the democratic ideal of helping all children, regardless of their socio-economic status, race, or national origin, to achieve their full potential. (bold emphasis added) (Pay to Learn: An Investigation of Mandatory Fees for Educational Activities in California’s Public Schools, ACLU, August 2010). More on the outcome of the lawsuit in a moment. Since late 2010, I have investigated and collected documents depicting the types of fees charged to Alabama’s families. The full results of the investigation are still being compiled in a usable and searchable format. 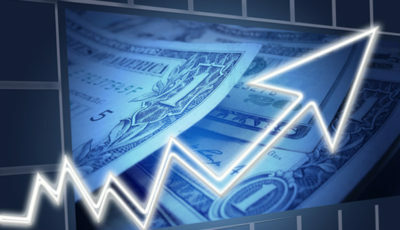 However, with the Alabama legislature revealing the agreement reached by a Conference Committee on the ETF budget this week, I believe preliminary findings of the investigation could be helpful. Recall that part 1 looked at how much public schools are charging families in “Required Dues and Fees” for academic purposes. Families paid nearly $38 million out of their pockets during the 2012-2013 school year. Check out the post for the full table of just how much per student schools are collecting. That figure is 33% higher than the $28 million collected during the 2006-2007 school year. Time now to explore what kinds of fees are included in that $38 million and how those fees indicate which districts are offering which types of opportunities to students, resulting in a greater divide between the haves and the have-nots. We’ll take a brief look at whether school districts are following the law by collecting these fees. I’ve written a few times (here, here, here, and here) about the laws that our school officials consistently break while expecting our children to follow the myriad of rules they create. A number of sections of the Code of Alabama (the “Code”), where the laws are housed, mention fees. In addition, the Alabama Administrative Code (AAC), the Alabama State Department of Education (ALSDE) and Attorney General opinions provide guidance regarding when fees can be charged. “No fees of any kind shall be collected from children attending any of the first six grades during the school term supported by public taxation” (Section 16-10-6, Section 16-11-26, Code of Alabama). The first six grades have been determined to be Kindergarten through fifth grade. As for high school, the law is also clear: “No fees shall be collected in the future in courses required for graduation” (Section 16-13-13, Code of Alabama). Section 16-6B-2 of the Code defines required courses as “courses which are required to be taken by every student enrolled in public schools in the State of Alabama”. It is clear that no course fees can be collected in K-5. Sixth, seventh, and eighth graders, you’re on your own. There is a special exception for Driver’s Education. The law sets the charge for Driver’s Education at $30 per student, but also states that if a student is unable to pay, he cannot be forced to do so. The way high schools justify charging course fees is through a loose interpretation of which courses are “required for graduation”. In my local school district, when I questioned Advanced Placement (AP) fees and Academy-related fees, I was told that the law only applies to the minimum required courses, and because my child was taking advanced courses, fees could be charged for those courses. That answer, received more than five years ago, never sat well with me. Because what that school official said is that if I wanted my child to receive a bare minimum education, it could be free. But if I wanted my child to have access to the advanced educational opportunities the high school offered, I would have to pay for it. What about that doesn’t scream two-tiered educational system? In addition, given that the ALSDE does not prescribe a “minimum” requirement (seen in its current form here in the AAC) for education, it is unclear why school districts believe this to be true. The ALSDE publishes no guidance on this, nor do any Attorney General’s opinions address this. Apparently, this interpretation hasn’t been challenged. Yet. 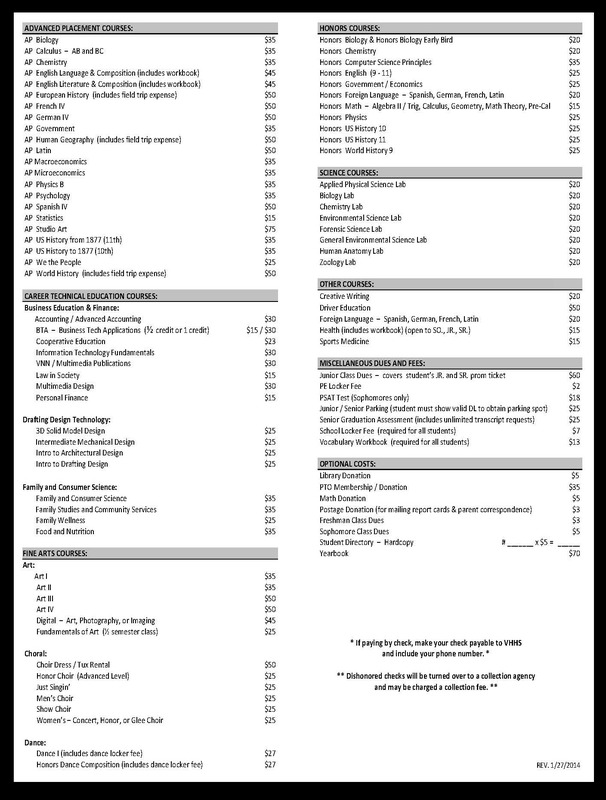 While the Code doesn’t specifically address supplies, the ALSDE has issued guidance for school districts in their “Financial Procedures for Local Schools” booklet, page 24 (pictured below, click for larger image). So that school supply list that you pick up or print out at the beginning of the school year? That stuff is all optional. And the school supply list should say that it’s optional. Very few of the school supply lists I have collected state the supplies are optional. What about the Kleenex and hand sanitizer and copy paper that is on the supply list? That’s optional, too. All of it. And the teachers should make clear that those requests are optional and voluntary. And no one should be embarrassed or harassed about not being able to send those donations in. Note that the money that families spend on these items would not be captured in that $38 million figure for “required dues and fees”. No one has ever attempted to document how much families spend on school supplies in Alabama. Here is where it gets really interesting. I recall being summoned to school by panicked children who were sent to the office to call me because I hadn’t sent in the field trip fee and my children wouldn’t be allowed to attend the field trip without the fee. It turns out that those fees were voluntary, not mandatory. 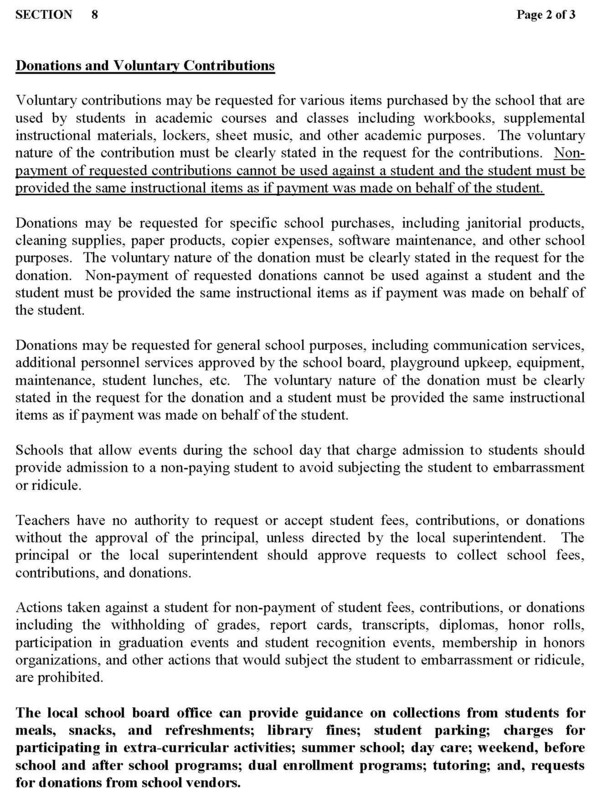 Guidance from the ALSDE (depicted below from the same booklet linked earlier) states that when the field trip is for academic purposes (as opposed to extracurricular), the request for payment must clearly state that it is voluntary, not mandatory. 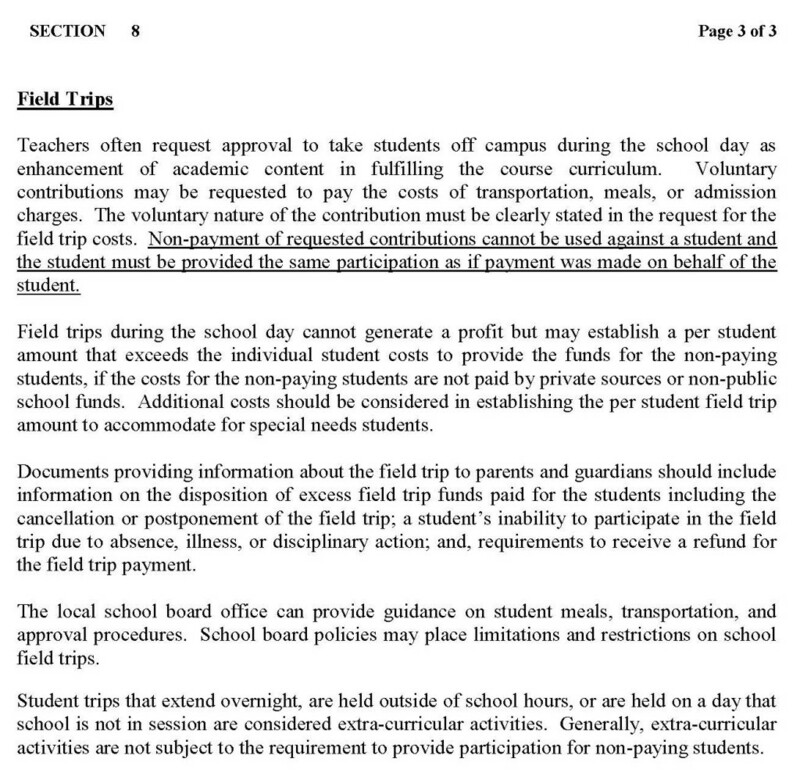 In addition, it clearly states that no student can be denied the opportunity to attend the field trip due to nonpayment of the voluntary contribution. Here we are talking about parking fees and locker fees, as these are the only two areas in which the ALSDE has issued guidance to school districts. The most recent guidance came in the form of a June 2009 memo from Chief of Staff Dr. Craig Pouncey stating that locker fee amounts should be set in the amount that it costs to depreciate and maintain lockers, period. Further it stated that hey, if y’all have been charging more than you should, go ahead and move those funds over to whatever account you need to. Just make sure you keep enough in that account to maintain the lockers. Regarding parking fees, prior to the 2009 memo, districts had been told that parking fees could only be set to cover the cost of decals and maintenance of the parking lots. That, too, changed in the memo. School districts now are able to set the costs as they wish and use the money for any public education purpose at the school. The law doesn’t prohibit charging the fees, but it doesn’t specifically allow for them, either. What is really disturbing is that no guidance exists that addresses technology fees. Yet families in some districts are being required to either assume full responsibility for the cost of the iPad or Chromebook or other tablet device if it should get broken or they must pay a fee for insurance. When pushed, some school officials will say that the technology is optional, but I cannot imagine a student whose parent, unable to pay the insurance or assume the full responsibility for a $500 iPad, would allow their child to sit in class without the same technology other students have. And the apps that teachers suggest students use? Those can’t be charged for, either, unless your child is taking a class that isn’t required for graduation. 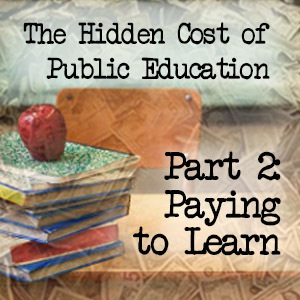 This has been a brief look at the various fees charged by Alabama’s schools and what guidance and/or laws exist to govern the free and appropriate public education for Alabama’s children. 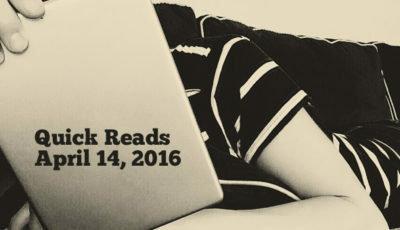 Many more details to come. The state passed a law clearing up a few of the details about what types of fees can be charged to families and demanded the California Department of Education develop a complaint procedure for families questioning whether the fees were legal. The ACLU has issued guidance for families. Here is a page on their web site devoted to informing families of their rights. 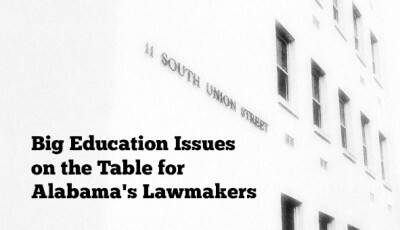 What Does This Mean for Alabama’s Public Schools? What Am I Driving At? Alabama law is clear but broad about for what school officials are allowed to charge fees. The law and guidance appear to be routinely ignored, judging by the documents I have collected over the past three years. From course fee sheets to school supply sheets to field trip requirements, I believe that schools across Alabama are illegally charging fees for which the public should either be footing the bill or school officials should not be offering the services. Yes, I know what I’m saying. And what you’re thinking: but if families don’t pay for these things, then these children won’t have these opportunities! Why won’t they? Is it because the legislature won’t appropriate funding? Is it because the monies that are being provided for public education are being misspent? Is it because Alabama taxpayers won’t pony up for the cost to provide these opportunities? When families are asked to pay for “additional” opportunities for their children to learn, is that not creating a two-tiered educational system? Where the haves have more access than the have-nots? One where there is a minimal educational standard provided by the state and the higher educational standard is only available to those who can afford it by paying a fee or otherwise purchasing it directly from their pocket? That sounds more like a private school system than a public one. Stay tuned for the full results of the investigation. For a full list of sections in the Code related to public education and what the ALSDE and school districts are required to do, check out this page. This spot-on. Thank you for this analysis. My family moved to Alabama in 2007, and we have been appalled at the prevalence of payment for public goods that elsewhere is tax-funded. My kids’ elementary school regularly charges for field trips, classroom fees, and a host nickel-and-dime charges. I have considered challenging these fees, but I’ve been warned by other parents that the school may exact retribution on my kids. I’m hoping a good job opportunity will come along that will rescue my children from this morass. No replacement, usage, or insurance fee. This spot-on. Thank you for this analysis. My family moved to Alabama in 2007, and we have been appalled at the prevalence of payment for public goods that elsewhere is tax-funded. My kids' elementary school regularly charges for field trips, classroom fees, and a host nickel-and-dime charges. I have considered challenging these fees, but I've been warned by other parents that the school may exact retribution on my kids. I'm hoping a good job opportunity will come along that will rescue my children from this morass.